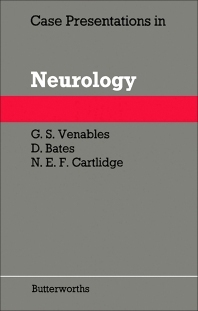 Case Presentations in Neurology presents a selection of case histories demonstrating how patients with often quite simple problems may present and to bring out aspects of their diagnosis and management. All the patients presented to the Department of Neurology including those with more obscure diagnoses. The book consists of 12 exercises, each of six cases broadly corresponding to the style of the MRCP (UK) written case history papers. Each case is set out with the history and physical findings given first. There follows either a series of questions or true/false statements on one side of the page which the reader should attempt before continuing on to the answer section on the other side. There then follows a short discussion about each case and a single reference. This book is intended for those doctors studying for higher professional qualifications such as the MRCP, although it may be of interest and use to medical students approaching their final examinations. Case 5.6 False Localizing Signs? Case 6.1 What Am I Doing Here?